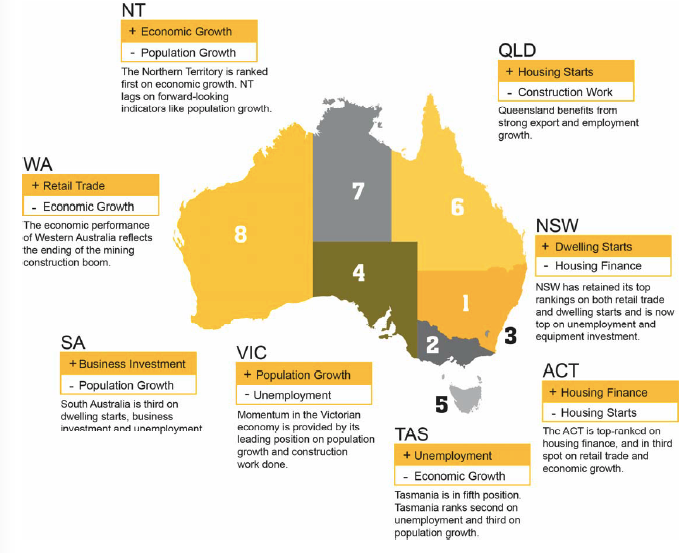 The latest CommSec State of the States report for October 2017 reveals a familiar story; NSW & Victoria remain the economic engines of the country. The report includes analysis of eight key indicators including economic growth, retail spending, business investment, unemployment, construction work done, population growth, housing finance and welling commencements. Each state and territory is ranked against these indicators with results compared to decade long averages, thereby creating an accurate, measurable and reliable insight into ‘normal’ performance levels over the period (quarterly in this case). So what have the reports found? The latest data shows Australia’s economies to be in good shape but with some differences in relative performance. NSW remains on top while Victoria is closing in, sitting ahead of ACT. Then there is a gap to South Australia, Tasmania, Queensland, the Northern Territory and finally Western Australia. 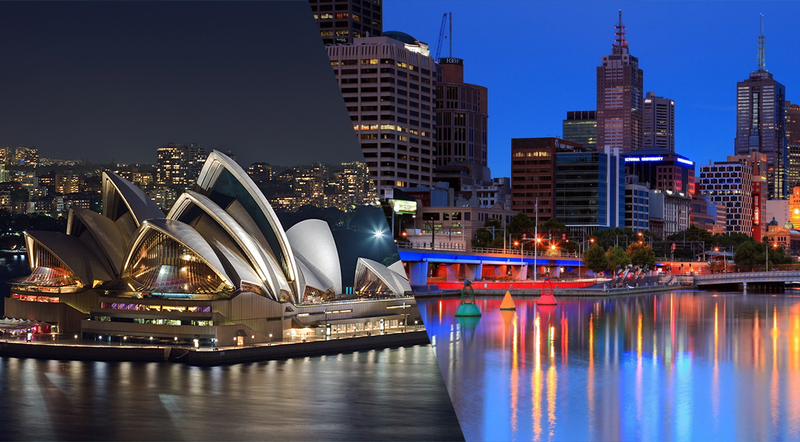 NSW has retained its position as the best performing economy, ahead or near the top on all eight indicators. 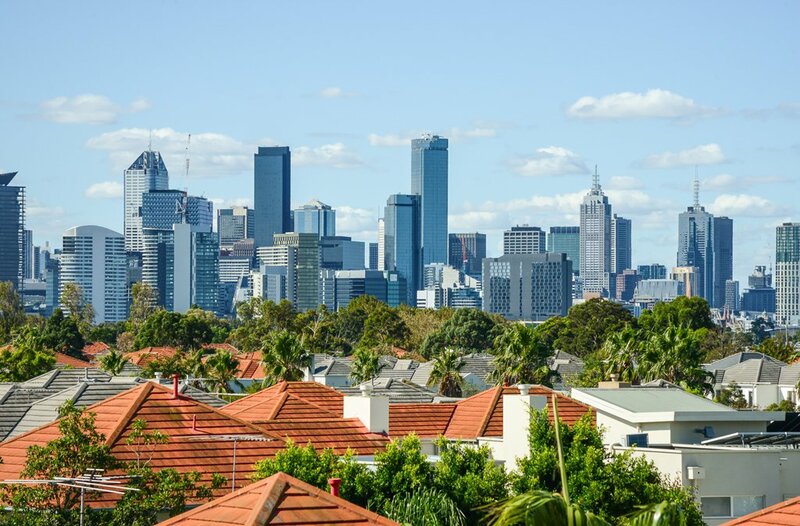 Victoria holds second spot on the economic performance ranking with strength provided by high population growth (the highest in the country) which has provided significant boost to local housing demand. ACT retains third position on the performance rankings but there has been a softening in the local job market. South Australia has lifted from sixth to fourth spot just ahead of Tasmania and Queensland. Northern Territory remains in seventh position, whilst Western Australia continues to lag other economies and annual growth rates remain below national averages on seven of the eight indicators surveyed. Although NSW remains on top of the economic performance rankings, Victoria is closing the gap. Both states have relatively high population growth, underpinning home building and retail spending. Victoria remains in second on the performance rankings and has lifted in four of the eight indicators as well as out-performing all other economies on annual growth rates. This places Victoria in good-stead moving forward and will continue to underpin growth in the local housing markets. For more information on the latest reports or any information pertaining to the local housing markets, feel free to speak to one of our professional advisors today.